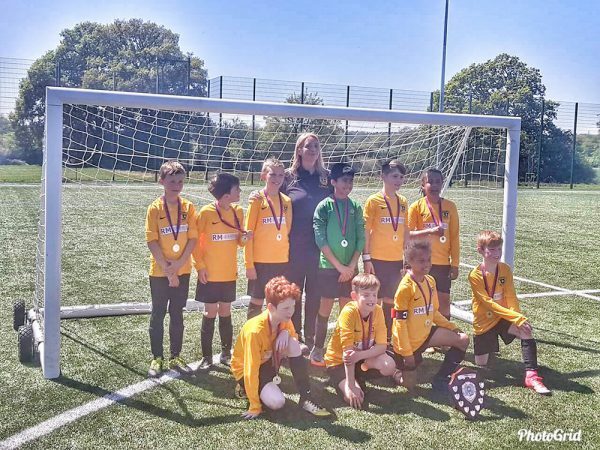 Mytchett Athletic U10 Falcons finished their season with a Cup Final win on Saturday. The team are pictured after the game with manager Karen. They will attend the League Presentation evening on June 15th to collect their individual trophies. Congratulations from everyone at the club. 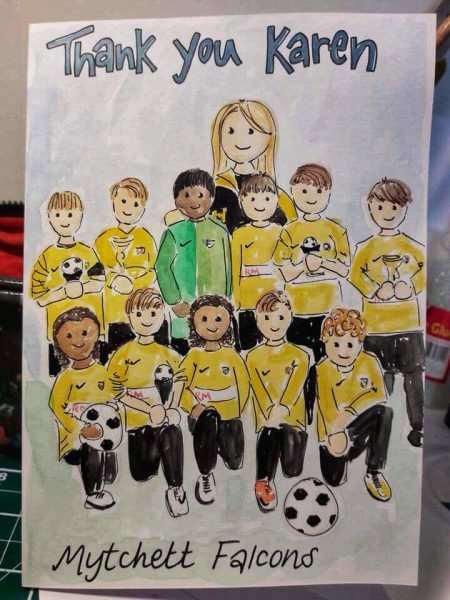 Karen’s clearly a much loved coach.